Read and reproduce the story in the form of a dialogue. One day I went to a bookshop to look through new books. Mr.Sellyer showed me to the back of the book­shop where I could find some interesting books. A fashionably dressed woman was standing at the counter and Mr.Sellyer was showing a book to her. "You are quite sure it's the latest?" the lady was saying to Mr.Sellyer. "Oh, yes, Mrs.Rasselyeer", answered the manager. "This is Mr.Slush's latest book. It's having a wonderful sale. It's an extremely powerful thing. One says that it's perhaps the most powerful book of the season". 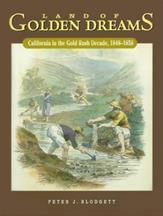 I looked at the title, the name of the book was "Golden Dreams". Another lady entered the bookshop. She was in deep mourning and looked like a widow. She asked the manager to show her some new book. "Something new in fiction", repeated the manager. "Yes, Madam, here's a charming thing, "Golden Dreams" -a very sweet story, extremely sweet. The critics say that it's one of the sweetest things written by this author". "Is it a good book? ", asked the lady. "A charming one", said the manager. "It's a love story - very simple and sweet and wonderfully charming. My wife was reading it aloud only last night. She was crying all the time while she was reading it". The lady bought "Golden Dreams" and left the shop. "Have you any good light reading for vacation time?" asked the next customer. "Yes", said Mr.Sellyer, "Golden Dreams" that is the most humourous book of the season. My wife was reading it aloud only yesterday. She was laughing all the time while she was reading it". The lady paid for the book and went out. And every customer who entered the shop went away with "Golden Dreams". To one lady the manager sold "Golden Dreams" as the reading for a holiday, to another as the book to read after the holiday, another bought it to read on a rainy day and the fourth as the right book for a fine day. When I was leaving the book-shop, I went up to the manager and asked him. "Do you like the book yourself?" "Dear me!" said the manager, "I've no idea of the book, I've no time to read every book I'm selling". "And did your wife really like the book?" Exercise 13. Be ready to talk on one of the follo­wing topics. 1. Buying things at a department store. 2. How you were buying presents for your family. 3. At a foot­wear department. 4. Why you prefer to buy ready-made clothes. Exercise 14. Make up your own dialogues on the topic "Shopping".